PigSty In July is back with a pengeance. 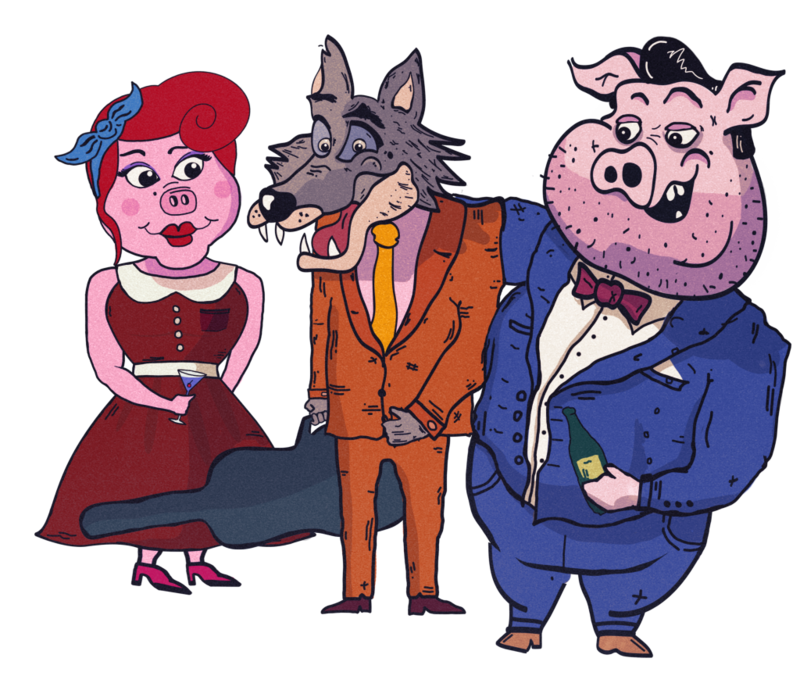 "Somewhat more than your average dinner party..."
After a year in the wilderness the Boss Hog of Dashville's festival calendar returns to the trough. 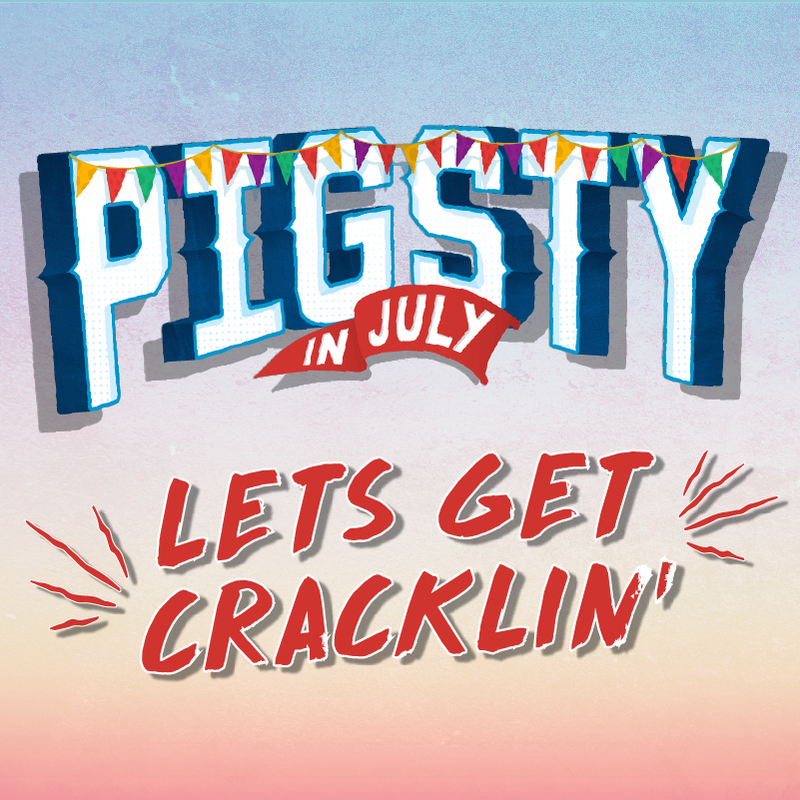 PigSty in July really is a decadent day in the bush, perfect for anyone looking to break the winter shackles and enjoy day out at Dashville, with new and old friends. Although you'll see a lot of the same kind of fun partaken at previous PigSty's, this year as we return the festival, we've decided to bring it back to its roots, as an exclusive big ol'dinner party for a limited amount of people. Succulent lunch and dinner is included in your ticket. Touted as the sinister sister event to the famed Gum Ball music festival, this one-dayer is geared for adults to (leave the kidlets at home and) truly let their hair down. A secluded laid back, light-hearted day out at Dashville, full of great people, awesome live music, warm tasty food and glorious booze. If you've been to The Gum Ball, then you know what glorious fun PigSty In July is going to be. If you haven’t been to The Gum Ball, ouch, that must hurt, do yourself a favour and don’t miss out on this. With the return of PigSty in July, organisers are excited to jag home-grown Aussie ska legends THE PORKERS. Forming in Newcastle way back in 1987, the group, led by founder and singer Pete Cooper, are an institution on Australia's live circuit and have toured internationally and played major festivals like the Big Day Out, Livid, Vans Warped Tour and Homebake. With an energy custom-made for a party such as PigSty, The Porkers are 31 years young and ready to make this night one to remember. Joining The Porkers is another highly reputable Australian rock band, the incomparable FRONT END LOADER. With new record Neutral Evil under their belt, the 27-year-old band ain't about to slow down. Their heavy anthems have riffs you could carve with a steak knife. Other acts to get you up and grooving, include a band that tore the house down at Gum Ball 2017, Brisbane eight-piece THE STEELE SYNDICATE. This stellar party band fuse rock, funk, soul and reggae into classic tunes that will have you dancing up a storm. Then there's THEN JOLENE, from the sunny North Coast NSW. This big family band weld a mix of ragged country, rock, bluegrass and gypsy to create something all their own. Then you've got the party band of a party bands DASHVILLE PROGRESS SOCIETY, an evolving Mecca of around 14-22 local musicians, who seem to have garnered quite the reputation after a number of appearances at Dashville over the years. GEORGIE JONES is excited to be bringing her band song to warm up proceedings when the live music kicks off at around 2pm. Heading up this year's list of comedians is none other than our pal AARON GOCS, who has fast become one of the country's most beloved comics and documenters of Australian culture. Gocsy was last at Dashville to MC the very first Thrashville festival and we're pumped to have him back for PigSty in July. CAMERON JAMES is a comic on a rapid rise in the Australian stand-up scene and has been selling out shows left, right and centre at the Melbourne International Comedy Festival with his show Chilled Out/Fired Up. The Newcastle native also had a one-hour special air on the ABC as part of their Comedy Next Gen series. It was pure gold - go take a look on ABC iView. BEC CHARLWOOD has performed at Melbourne International Comedy Festival and The Sydney Comedy Store. She recently was hand selected by Rove McManus to feature at his live shows and also performed at Tahir's Christmas Showcase. Her effortless charm and wit will keep you laughing all night. 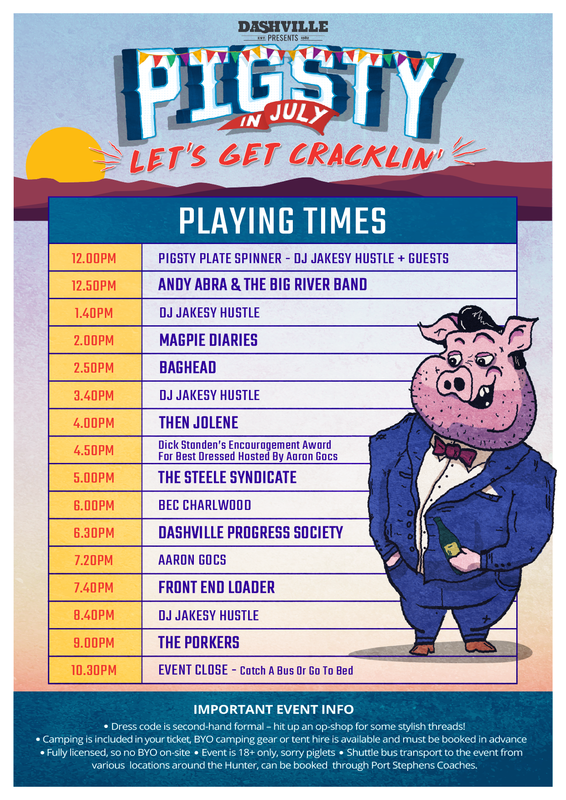 Click the images below to check out more info on each PigSty 2018 act. 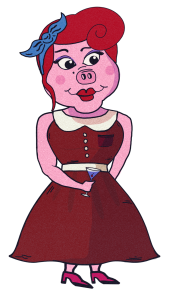 PigSty is a "second-hand-formal" themed event. Try it on for size. If for no other reason, perhaps consider it a condition of sanity. GENTS: There’s no expectations here, other then that we want to see smart, sophisticated men who take pride in a pre-loved suit. LADIES: We want to see ladies who can rock a dress of any era or style. It's a chance to get one of those awesome dresses that you thought you’d never wear again. Perhaps a dress may have been too much for a previous function could be ripe for this one. For those who want to restock the wardrobe, perhaps a visit to one of your local second hand stores should be in order? Rest assured which ever option you choose, it’ll be perfect for Pigsty. Please bare in mind that high heels will be great for aerating the soil, but not so good to walk around in. It goes without saying that it will also be winter so be sure to bring a jacket. PigSty is all about food and beverage indulgence. STRICTLY NO BYO ALCOHOL - cars will be checked on entry. 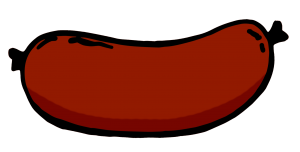 Please consider the events existence and your desire to attend future Dashville events, before attempting to break a rule governed by law. You are welcome to bring food into the campground, just not alcohol. 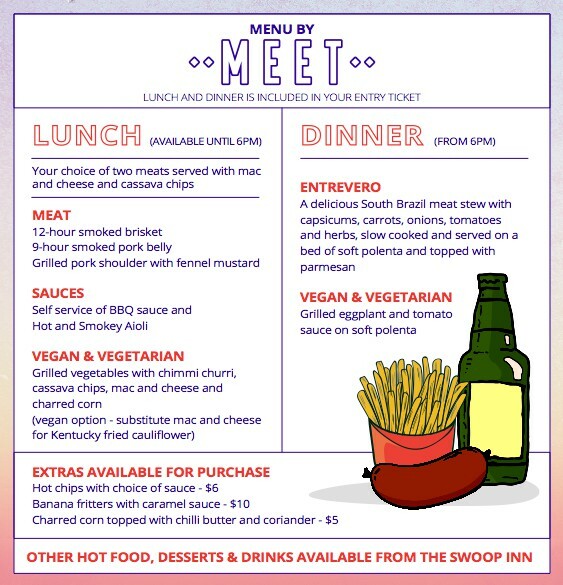 FOOD - To bring the event back to its dinner party roots, we've teamed up with Newcastle's favourite restaurant, MEET. They're on Honeysuckle. You know the one. We're working alongside these guys in a combined effort to blow your buds. The full dinner menu will be available very soon. The Swoop Inn cafe will also have food and other treats available outside of these hours. SNACKS? We have a selection of 2 person cheese plates available for pre-order through the store, you'll see them listed as PRODUCTS below the ticket options. A small quantity will also be available for purchase on the day. ALCOHOL - A full range of beer, wine, spirits, cocktails and champagne will be flowing via the reputable establishment known as the Bird Bath. 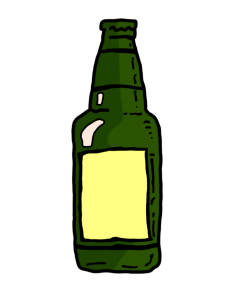 On arrival you'll get a complimentary beer or wine. From here, your choice is anyones..
PigSty In July will open its doors at midday on Saturday, July 7, 2018. Full timetable will be available shortly, though when the gates open at midday, the bar and cafe will be open. An awesome DJ will be warming things up and the first band will hit the stage around 2pm. The event will run through to a 10pm close. A bus services will travel from Wickham Station to the event, via Beresfield, Maitland, Branxton. there will be seperate buses servicing Singleton, Cessnock/Vineyard region as required. If you have any questions regarding the bus, please send your enquiry with pick up location to mail@dashville.com.au or our PigSty Facebook page. If you have a group of people, requiring pick up from one location, whether listed above or not, please just drop us an email and we'll look into providing a tailored solution. Your ticket includes onsite camping. So your safest best option is to stay the night then get up and consider joining us for a hot breakfast in the morning. We have a few 2 person and 4 person tents available for hire. These are set up with mattresses for your arrival. You just need to BYO linen. Simply select it with your ticket, if you've already purchased tickets, you can also jump back in and just select a tent. If you're travel situation means you can't BYO linen, then shoot us an email and we'll put something in place for you. Please note, there are no discounts on your ticket price if you are not camping. The Swoop Inn will be open in the morning from 8am. Sit down and enjoy a nice hot breakfast including awesome coffee, or just take a bacon and egg burger on the run. In the morning, a self test breathalyser will be available for anyone who feels they may need one. The concept of PigSty in July has been around for a little while, 8 years in fact. Run by us, the small team behind Gum Ball. The first one was held at the Gallipoli Legion Club in Newcastle in 2006. The Porkers, Ngariki and our band, Johnny Real & The Lovemakers played, around the same time we cooked 200 people a traditional Irish baked dinner, which was the main motivation, a hearty day-long recipe that was memorised after a fond Christmas spent in dirty old Dublin town. The following year we held a slightly smaller one in the back room of the Grand Junction Hotel in Maitland. Built on the sly, it was in fact a pseudo surprise party for the big brother. The Fumes blew the leek and potato soup stained table cloths off, support was provided by the very talented Paul Greene and that old familiar band again, Johnny Real & The Lovemakers. The 3rd PigSty In July was rather monumental, held in 2008 at Maitland Town Hall. An event elegant and special for so many reasons. The tables featured home made scented pig candle centerpieces until they were moved over by girating bodies. The Gin Club were a fantastic spectacle, as was Sydney band The Botanics and the last minute inclusion slipping from out of the kitchen for what would be their last ever performance, the host band Johnny Real & The Lovemakers. Circa 2008, The Gum Ball was in the midst of a growing battle with council and money and PigSty due to its required time and energy and financial pitfalls across the board, was shelved in the hope that one day it could become viable again. Fast forward five years to 2013 and with the development of home soil at Belford, now known as Dashville, finally the window to crack out the suits and whats left of the scented pig candles appeared and we put the show back on. Only thing is that this time we're doing it outdoors at Dashville, with loads more of the good stuff... more space, more bands, more open flame, more food, more booze. 2013 was a ripsnorter, 2014 and 2015 sold out, 2016 Shihad blew the shackles off the joint and in 2017 we decided to take a break.